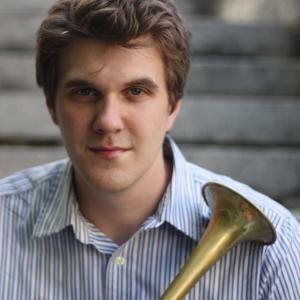 Michael Dobrinski recently joined the trumpet faculty at New England Conservatory, where he teaches privately in addition to coaching trumpet class and chamber music. He is also on the Faculty at New England Conservatory Preparatory School. Prior to relocating to the Boston area, Michael served on the faculty at the University of Tampa and the Pinellas County Center for the Arts. He maintained a private teaching studio in Florida, and successfully prepared students for admission into elite college music programs, including the Manhattan School of Music and the Berklee College of Music. He has worked with students of varied interests and experience, including students focused on orchestral trumpet performance, chamber music, jazz, and alternative styles. Michael is an experienced orchestral performer, working regularly with orchestras around the country, including the Boston Symphony and the Boston Pops. He also served as Principal Trumpet for the Sarasota Orchestra for seven years, performing regularly with the orchestra’s resident brass quintet.